On SCR/VFD houses to provide power to rig equipment such as shakers, agitators, lighting circuits, mud pumps, motors, etc. To quickly and efficiently connect power during rig-ups and disconnect power during rig-downs. 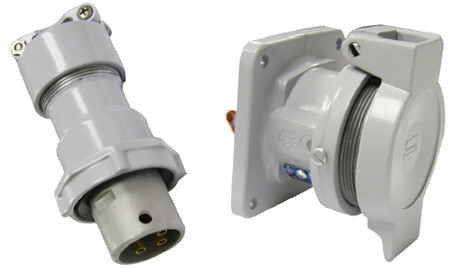 Download the PowerMate Plugs, Receptacles, and Connectors PDF below or call 714.835.6211 for more information.